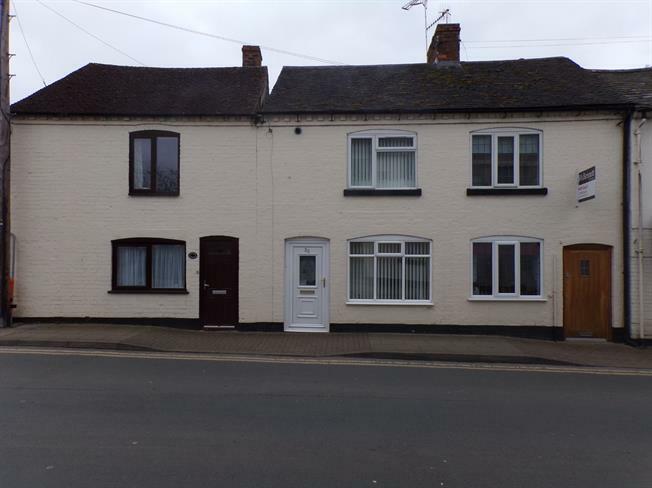 2 Bedroom Terraced Cottage For Sale in Alcester for Offers Over £220,000. If you are looking for a character cottage with river views, look no further. Decorated in neutral tones and featuring traditional wooden beams, this property is a one off and is the perfect property for those who are looking for something ready to move in to. Complete with no onward chain, the accommodation allows; a modern Kitchen, a neutrally decorated Sitting through Dining area and a Conservatory to the rear. Upstairs you will find two double Bedrooms, an En Suite facility and the master Shower Room. Outside there is a patio, a gated gravelled area and parking for 1 to 2 cars. Boasting a fabulous rear view, this property is not to be missed. Spacious room with French Doors opening out in to the brick built Conservatory. Wall mounted radiator. Spot lights on the ceiling. Presented to a high standard, the kitchen offers white base and wall units with black work tops for a contemporary finish. There is space for a washing machine, fridge, freezer and an integral electric cooker with gas hob. White tiling to the floor. Wall mounted radiator. Spot lights on the ceiling. Window to the front elevation. Offering French Doors opening out on to the patio and views of the river. Cream tiling to the floor. Wall mounted radiator. Wooden banister and landing leading to the two Bedrooms and Shower Room. Featuring en suite facility. Fitted wardrobes. Window to the rear elevation boasting views of the garden and river. Wall mounted radiator. Guest bedroom offering fitted wardrobes. Wall mounted radiator. Window to the front elevation. Single shower enclosure. White suite featuring Pedestal and wash hand basin and low level W.C. Heated towel rail. White tiling to the walls and floor. White suite offering a pedestal and wash hand basin, W.C and bidet. White tiling to the walls and floor. Rear patio. Gravelled area enclosed by wooden fencing. Parking for 1 to 2 cars to the rear of the property.